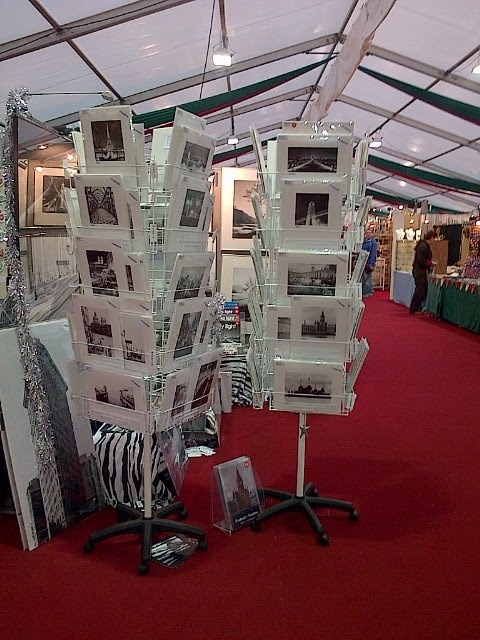 We are exhibiting at the Craft in Focus Christmas Contemporary Craft show at RHS Wisley. Jan is doing it on her own to save my bad back which has taken a bit of a beating over the last few weeks. Unfortunately, Jan also hurt her back last week so she has to be careful too. The show opens at 9am every day and closes at 6pm, except Thursday is 8pm and Sunday is 5pm. Entry is free to RHS members and £9 to everyone else but this includes entry to the gardens as well. 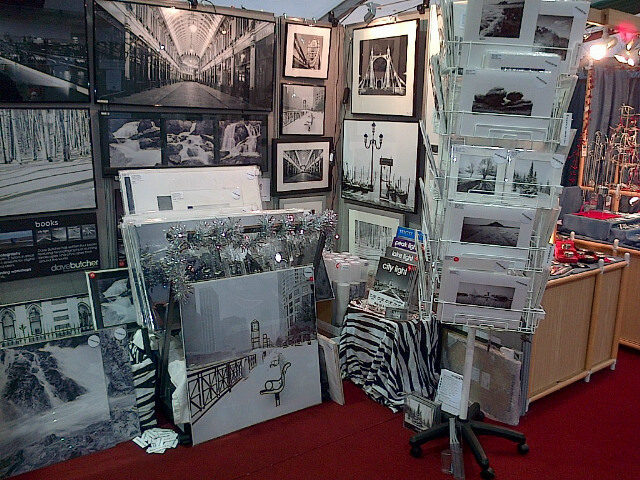 The photos of our stand were taken by Jan on her BlackBerry phone. As you can see it’s quite a bit smaller than our last show, Ideal Home Christmas show at Earls Court, in fact it’s less than half the size of our stand there! We have still packed a lot in and have several hundred darkroom prints for sale, the last few posters and all 4 books are on offer, with a very special price if you buy all 4.